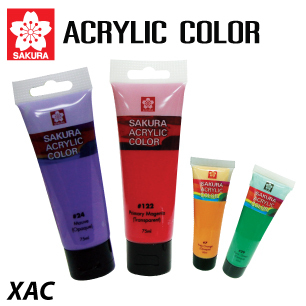 Sakura " Poster Color " is outstanding for its high degree of opacity and color strength. Ideal for design, illustration and gouache painting. Available in well-balanced color range and sizes - 15 ml., 30 ml., 60 ml. and 130 ml.. This product conforms to CE an AP standards.